Our Oil and Gas Fired Forging Furnaces are robust in structure, sturdy in shape and high in performance. 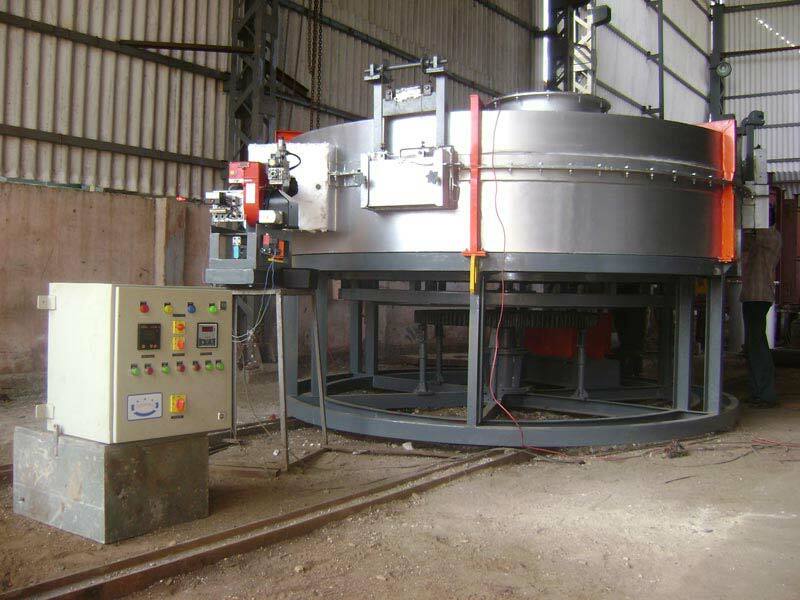 Being one of the preeminent Manufacturers, Exporters and Suppliers, we offer varied types of Forging Furnace such as Rotary Hearth Forging Furnace, Beam Type Forging Furnace, Standard Forging Furnace and Pusher Type Forging Furnace. We have designed Forging Furnace in such a manner that heat released from the burner is entirely utilized before passing through exhaust duct. Our Forging Furnace can be either composite type or standard North American type with separate control cabinets, provided to operate the furnace.